If you’re faced with tooth loss, and are considering ways of replacing them, you’ll probably be considering several different options. The cheapest is to use dentures, while the most expensive (in the shorter term) is to choose dental implants in Basingstoke, so why should you opt for the latter? There are numerous benefits to dental implants, but the top ten reasons are listed below. Better quality of life. Dental implants are the closest thing to growing your own teeth, and are used to support strong, stable replacement teeth that look incredibly natural and which provide the best aesthetic results. There won’t be any concerns over dentures that move around and you’ll be able to eat and talk normally. Implants help preserve your facial structure. When you lose teeth the dimensions of your face will begin to change. Natural teeth support the cheeks and lips, and dental implants replicate this so your facial structure is maintained. Dental implants give the best cosmetic results. Your dentist in Basingstoke will place the dental implants to give optimal results so they look and feel incredibly natural, just like real teeth, only perhaps rather better looking than old or broken down teeth. Dental implants don’t impact adjacent teeth. Dental implants won’t negatively affect the health of adjacent teeth. Instead, they’ll help ensure all your teeth remain in the correct positions so they bite together properly. Dental implants are easy to look after. You’ll need to take care to floss and brush around your dental implants to keep them free from plaque, but they should be very easy to take care of. In comparison it can be a hassle to thoroughly clean dentures and it’s very easy for food to become trapped underneath them. Dental implants are incredibly stable. The implant post replicates a natural tooth root so it’s extremely stable. This means you can live life to the full without being worried about dentures moving around while you eat or talk. Better nutrition and overall health. Anyone with dentures will know it’s tricky to eat certain foods, and missing or unstable teeth can make it difficult to chew food properly. You’ll be able to eat a wider range of foods and will find it easy to chew them thoroughly before swallowing, aiding digestion and improving nutrition and overall health. Improved self-confidence and self-esteem. Having teeth that look and feel great, and which are problem free can be a huge boost to self-confidence and self-esteem. Eating is more enjoyable. Strong, stable teeth that function properly make it much easier to eat. If you use dental implants to replace an upper denture, you’ll immediately notice food tastes much better as the roof of your mouth will no longer be covered up, and it contains thousands of taste buds. Treatment is long-lasting. Dental implants are not the cheapest way to replace teeth, but they should last the longest. A recent study showed dental implants to be more cost effective in the longer term, not to mention all the other benefits listed above. This entry was posted in Dental Implants on 18th August, 2014 by Basingstoke Dental Implants. Why Replace Missing Back Teeth with Dental Implants? If you are missing one or two teeth, especially in areas that are less visible, it can be easy to quickly adapt to their loss. You might imagine there’s no real reason to replace missing teeth, as after all you can manage perfectly well without them, or can you? This is quite a common assumption but it’s quite wrong to think this way. We tend to think of each tooth as being an individual unit that functions on its own, but in fact they make up a complete system and each is reliant on its neighbour to function correctly. Human teeth are comprised of anterior or front teeth and posterior or back teeth. The anterior teeth consist of the canines and incisors and are used for cutting and biting into food. The posterior teeth consist of premolars and molars and are used for grinding and chewing food. Even though your posterior teeth are less visible they have an extremely important function as they support the vertical height of your face. If you lose teeth at the back of your mouth then your face will lose some height and will begin to collapse inwards, a look that can be extremely aging as this loss of support will lead to wrinkles and folds developing. In addition, loss of back teeth places additional pressure on your front teeth as they struggle to cope with the extra load placed on them during eating and chewing. As a result they can begin to splay outwards and forwards. It’s also much more difficult to eat properly when you only have your front teeth as they are not designed for chewing. You might find yourself making different food choices and opting for foods that are softer and which require almost no chewing whatsoever. While this might make it easier, it could mean eating foods that don’t contain so many nutrients and this can impact your general health. So Why Choose Dental Implants? 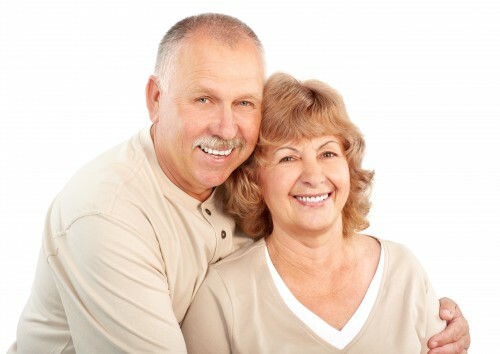 Your two main choices for replacing back teeth are to use a partial denture or to have a dental bridge. Neither of these is particularly good, especially if you’re missing teeth right at the back of your mouth as there will be very little support for either solution. A dental implant doesn’t require any sort of support from existing teeth as it is a standalone unit that consists of a strong titanium post inserted directly into your jawbone. This is used to support a crown or bridge that will easily be strong enough to withstand chewing forces in your mouth. It can be fabricated to replace lost height, supporting your cheeks and giving you a more youthful appearance. Best of all the results can be permanent. This entry was posted in Dental Implants on 11th August, 2014 by Basingstoke Dental Implants. If you lose one or more teeth then you’ll need to think about ways to replace them. There are three main methods of tooth replacement which are to use dental bridges, partial or full dentures, or to have dental implants. Nowadays more and more patients are opting to have dental implants in Basingstoke, realising this can often be the best choice. If you’re still unsure as to which method would work best for you, it’s worth reading this quick comparison of all three types of tooth replacement. Partial dentures replace some of the teeth in the upper or lower jaws, while a full denture replaces all the teeth in the upper or lower jaws. This method of tooth replacement has been used for many decades and is still reasonably popular due to the ease of treatment. It’s also the least expensive option of tooth replacement, but it’s not necessarily the best. Dentures rest on the gums and rely heavily on retention in the mouth to keep them in position. This is provided by either covering up the roof of the mouth for an upper denture, or using the bony ridge that used to support teeth to hold a lower denture in position. Partial dentures can have clasps that fit around existing natural teeth or precision attachments that help hold them in place. Once teeth are extracted then the shape of the mouth begins to change. The bony ridges that used to support the teeth soon begin to flatten as the bone is gradually reabsorbed by the body. This creates problems for denture retention and as a result dentures can become increasingly loose and ill-fitting. This is often a major problem for denture wearers, and loose dentures can rub on the gums, increasing the rate of bone resorption. Even though it’s possible to remake dentures to fit a little better, the main problem still remains and there is little that can be done about it. Dentures generally need to be remade after three years or so. A dental bridge consists of crowns that are attached to one or more replacement teeth to create a single, strong unit. Normally the teeth either side of a missing tooth will be ground down and crowned in preparation for a bridge. This type of restoration is more expensive than a denture, but a bridge will usually last approximately 10 years. A well-made bridge can look extremely nice, and might be a good choice if the teeth either side of the missing tooth could do with being crowned. Otherwise your dentist in Basingstoke will have to grind down perfectly healthy teeth to make room for the bridge. This is not ideal, and does mean these teeth will always need crowns, even if you decide to opt for a dental implant at a later date. Dental implants are the only method of tooth replacement that doesn’t have any negative impact on the surrounding teeth. In fact it’s quite the opposite as dental implants will keep the rest of your teeth in the proper positions and will help prevent bone loss in your jaw. Even though dental implants take a little longer, the results should last for decades or even for life, so it’s the best long-term method of tooth replacement and quite probably the most cost effective. This entry was posted in Dental Implants on 4th August, 2014 by Basingstoke Dental Implants. Dental Implants – Can Anything Go Wrong? There’s little doubt that dental implants are the best way to replace missing teeth, but is there anything that can go wrong with treatment? Success rates are typically 95% or even higher, but as with most things in life, there is no absolute guarantee that things will go perfectly to plan. Much of the success of dental implants is down to careful planning prior to surgery. This planning process is absolutely essential for making sure the implant is placed in the optimal position, ensuring the replacement tooth can function normally and looks fantastic. This is one of the reasons why it’s best to take your time picking your implantologist in Basingstoke. For example, our dentist has been extensively involved in implant dentistry for many years and has taken numerous courses to further his knowledge. These things do matter, as some dentists may have only completed a short course, and could only place a few dental implants each year. Implant success is down to a combination of your dentist’s skill and expertise combined with experience. Once a dental implant has been successfully inserted into the jawbone, the next step is to make sure hope it heals properly. During this time the implant post must fully integrate with the bone, and it’s very rare that this fails to occur. Success can be influenced by the bone quality and the body’s ability to heal itself. This is why those with compromised immune systems, for example people with diabetes, or smokers are at increased risk of implant failure. It’s quite common to place a temporary tooth on an implant during this healing process. An experienced dental implant dentist will make sure the temporary tooth doesn’t come into contact with the teeth in the opposite jaw. This is because the pressure on the implant could cause failure. As a result the temporary teeth might look rather short but will have been properly designed. It’s slightly different if the temporary teeth replace a complete arch of teeth. In this case the implants will have been inserted in such a way to ensure they are held in a rigid position by the replacement teeth. This means the implants can still heal without any fear of movement in the jaw. Once your dental implant has fully healed, it’s still important to take good care of your teeth. One thing to bear in mind is that habits such as tooth grinding could affect your implant. If you do clench or grind your dentist can custom make night guards that will ensure your dental implants don’t become stressed due to overload. Otherwise the excessive forces created during clenching and grinding could wear down or break any dental crowns, and may affect the implants. Some people think dental implants can’t become infected as they are artificial. In fact the bone and gum tissue surrounding the implants is still prone to inflammation and infection is not properly looked after. It’s possible for a condition called peri-implantitis to develop which is similar to gum disease. This can happen if you have poor oral hygiene and fail to follow your dentist’s instructions on cleaning around your dental implants. It’s vitally important to book regular check-ups and professional cleanings. This entry was posted in Dental Implants on 28th July, 2014 by Basingstoke Dental Implants. Dental Implants – What Are They and How Can They Be Used? Dental implants are an innovative way to replace teeth that have been lost to disease or trauma. A conventional dental implant consists of three different components, which are the implant post, the abutment, and the restoration. A dental implant post consists of a titanium post that is inserted into the jawbone during a small surgical procedure, and it replicates a natural tooth root. Titanium is used as this metal is extremely non-reactive and integrates with natural bone very well. It would be incredibly rare for anyone to have a reaction to this metal. Once the implant post is inserted into the jaw, it has to be left to heal for several months. Your dentist in Basingstoke will supply you with a temporary replacement tooth, so there is no need to worry about this stage of treatment. The healing process enables osseointegration to take place in the jaw, where the post becomes firmly fused in the jaw as new bone cells gradually grow on and around it. The implant post is specially treated to encourage this process. Osseointegration takes three to four months, but once it is completed your implant post will easily be able to support a replacement tooth. After your post has fully integrated into your jawbone, your dentist will attach an abutment. There are lots of different kinds, and the type used depends on the restoration replacing your tooth or teeth. The abutment will stick up above your gum line, providing a permanent anchor for the final tooth restoration. Your dentist will take an impression of the abutment which is used to fabricate the permanent restoration. A dental implant can be used to support various types of tooth restorations. It can support a single crown, replacing just one tooth, or can be used to support a bridge. Multiple dental implants can replace multiple missing teeth, either through supporting dental crowns or bridges, or even complete dentures. Treatment is incredibly versatile, and at the moment this is the best and most permanent way to replace lost teeth. A well planned and properly placed dental implant will have a success rate of 95% or more, and should feel very comfortable. Dental implants have been used for decades, so treatment is tried and tested and has been extensively studied to make sure it is completely safe. Of course, the longevity of your dental implants is also down to you, as they do need to be properly cared for to prevent infection and possible failure. This is easy, as all you need to do is to make sure you thoroughly brush and floss your dental implants, keeping them free from plaque and food debris. See your dentist twice a year for check-ups and professional cleanings to keep your dental implants in tip top condition. This level of care will help ensure you enjoy the benefits of your dental implants for many years to come. This entry was posted in Dental Implants on 21st July, 2014 by Basingstoke Dental Implants. What Is ‘All On Four’ And How Can It Help Me? ‘All on four’ is a very special implant technique which you might also hear called ‘same-day smiles’ or ‘same-day teeth.’ It’s a method to completely replace a traditional full denture with a brand-new denture or bridge that is firmly held in position with dental implants. Treatment is completed in just one day, and only four dental implants are required to support a complete arch of teeth. 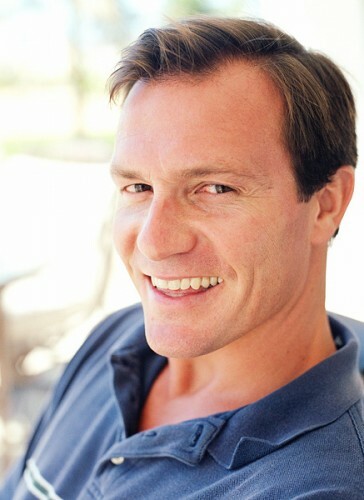 This technique was originally developed in the 1990s by a Portuguese implant dentist called Dr Paulo Malo who collaborated with one of the world’s top dental implant manufacturers, Nobel Biocare. Since then it’s been widely used with great success and has been the subject of extensive clinical research so you can rest assured this technique is completely safe. The results can be pretty remarkable, restoring a mouth using high-quality teeth, and quite possibly avoiding the need for bone grafts which might otherwise have been required with more traditional implant techniques. It’s a very effective and immediate way of replacing missing teeth. This particular solution isn’t offered by all implantologists as it does require additional skills and technology. If you are fed up with wearing loose and ill-fitting dentures it is probably worth consulting your dentist in Basingstoke. You’ll need to have a proper evaluation to determine if this technique will be successful. Your dentist will discuss all aspects of treatment, and will need to know your medical history. Various diagnostic texts including x-rays and a CT scan will help measure the density of bone in your jaw. Treatment planning is highly specialised and identifies the exact locations for implant placement according to the available bone and anatomy of your jaw. What Makes This Treatment so Successful? The success of this treatment lies in the way the implants are placed as it’s quite different from other systems. The first two dental implants are inserted towards the front of your mouth in a vertical position. The next two are inserted either side at a 45° angle towards the back of your jaw. The reason they are angled in this way is to help maximise use of bone through placing dental implants that are slightly longer and which will be more stable. This ensures more of the bone comes into contact with the dental implants, increasing their strength and stability. Once the arch of replacement teeth is anchored in position, it has the effect of securing all the dental implants together, increasing their strength even more. The use of just four dental implants ensures the entire procedure is less invasive, less time-consuming and more affordable than using traditional dental implants right throughout the jaw. You’ll leave the dental surgery with a complete set of teeth firmly in position, but it’s important to note these are temporary and are used while the dental implants fully integrate with the bone. This is a process where new bone cells grow on and around the dental implants, ensuring they are firmly fused into the bone. This process is called osseointegration and takes several months to occur. Once your dentist is satisfied your implants are completely integrated, your permanent teeth will be constructed. The final result should be strong, beautiful, perfectly fitting teeth that look entirely natural. This entry was posted in Dental Implants on 14th July, 2014 by Basingstoke Dental Implants. Before Dental Implants – Do I Need A Bone Graft? One of the diagnostic tests carried out prior to dental implant surgery will be to determine if you have sufficient bone in your jaw. It can be a bit concerning to hear you have lost quite a lot of bone since your teeth were extracted. In fact this problem is surprisingly common, and many people will undergo an additional process called a dental bone graft prior to having dental implants. It might sound alarming, but a bone graft is a very straightforward process and can be used to build up the width or height of bone in certain areas of your jaw. Replacing lost bone helps give your dental implant in Basingstoke the very best chances of success, and also ensures that the final restoration will look natural and aesthetically pleasing, but how can bone disappear in the first place? Bone can be replaced in several different ways; using your own bone that has been harvested from another site in your body, donor bone or some type of artificial bone substitute. Your Basingstoke dentist is likely to recommend using your own bone, even though this procedure may mean the bone has to be harvested in hospital. Using your own bone greatly increases the chances of success as it’s far less likely your body will reject the graft. Alternatively you can use donor bone that may be bovine or human, or your dentist in Basingstoke may choose to place artificial bone graft materials that help encourage the growth of your own bone cells. As your new bone cells gradually develop, the grafting material is absorbed into your body. All these different methods have their advantages and disadvantages as even though the operation is perfectly routine some people do not want to have bone taken from another site in their body, usually the hip or chin. Human or animal bone has been rigorously tested and sterilised to ensure it’s completely safe for use, but some of the synthetic materials used today can be extremely good. Once you have made your choice, your dentist can insert the bone into your jaw, after which it will need to be left to heal for quite a few months. This is necessary for the bone can completely integrate with your natural bone, ensuring it will be strong enough to hold your dental implants. This does extend the overall time of treatment, but you’ll find the end results will be well worth it. The success rate for bone grafts is extremely high, although anyone who smokes will be at higher risk of failure so it’s definitely best to quit beforehand. This entry was posted in Dental Implants on 30th June, 2014 by Basingstoke Dental Implants. Dental Implants – Who Gets Them And What Is The Planning Process? Some people are concerned about having dental implants as the process does involve a small surgical procedure that is necessary to insert the implant post into the jawbone. This can lead quite a few people to think they may not be suitable for surgery, especially if they are a little older. In fact most people will be suitable for dental implants in Basingstoke, but this is one of the things you’ll discover during your initial dental consultation. Your dentist will want to examine your mouth as it is important not to have any existing dental diseases prior to surgery. Your mouth needs to be as healthy as possible. You’ll also be asked a few questions about your general medical health, including any medications you may be taking. It’s important you’re in reasonably good health, and do not have any diseases that could affect the success of treatment. These include any diseases that impact your immune system, such as uncontrolled diabetes, as this will make it more difficult for your gums to heal after surgery. If you are a diabetic but have well-controlled blood sugar levels, it’s still worth inquiring about dental implants as it’s possible your dentist may agree you’re a good candidate. Another thing that can significantly impact the chances of implant success is smoking. Be prepared to quit, at least for the duration of treatment and preferably for good. Smoking is not good for oral health, and in particular for dental implants as it makes it far harder for your gums to heal properly. In addition smokers are far more likely to develop gum disease, negatively affecting the chances of implant success. If your dentist thinks dental implants will be successful, the next step is to have some diagnostic tests. It will be necessary for your dentist to take dental x-rays, and you’ll also need to have a CT scan which can conveniently be carried out in the dental surgery. A CT scan gives a very detailed 3-D image of your jaw and is essential for helping your dentist in Basingstoke diagnose any problems, and it also aids implant planning. Your CT scan will show your dentist if you have sufficient bone in your jaw as conventional dental implants need to be surrounded with several millimetres of healthy bone. This ensures the implant post is held firmly in position and is strong enough to support a restoration. In addition, a CT scan identifies the location of structures such as nerves, sinus cavities and blood vessels that must all be avoided during implant placement. Your CT scan is used by your dentist to accurately plan surgery before it takes place, and helps ensure your implant is a complete success. The procedure for planning dental implants is quite lengthy as it’s an extremely important stage of your treatment. Accurate planning, using the best and most accurate diagnostic tools available, ensures your implant looks and feels entirely natural, and will function properly. This entry was posted in Dental Implants on 23rd June, 2014 by Basingstoke Dental Implants. Lots of people in the UK have lost all their teeth in the upper or lower jaw, or possibly both. A popular form of tooth replacement is to use full dentures as they are affordable and can be constructed relatively quickly. Even though their use is widespread, dentures are a far from perfect solution to tooth loss, and quite a few people will struggle with wearing them in longer-term as problems can develop the longer they are worn. 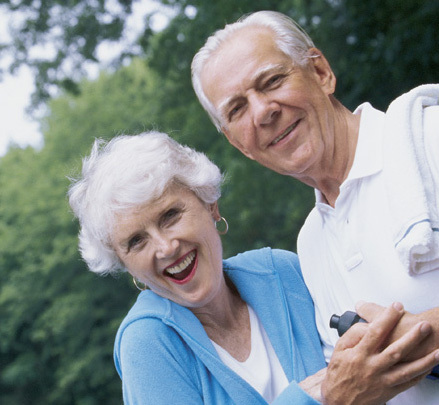 Dentures that used to fit well can often become loose and ill-fitting after just a few years. One solution is to use messy denture adhesives, or to even have the denture completely remade or relined by your dentist in Basingstoke. These solutions might work for a while but the main problem is due to bone loss in the jaw. After teeth are removed the bone gradually reabsorbs, and the bony ridge used to retain dentures gradually becomes flatter. This makes it much harder for the dentures to remain in position, and as a result they can begin to slip around when eating and speaking, and may rub and become uncomfortable. This can have a huge effect on quality of life, and some people will actively avoid socialising with others due to these problems. Luckily there is a very good and affordable solution, and that is to use dental implants in Basingstoke to support your dentures. Implant supported dentures are held firmly in position making it easy to eat a wider range of foods, and eliminating concerns that the dentures could move around at embarrassing moments. The denture clips onto a bar that is attached to the implants, making it simple to remove for cleaning. Quite a few people think dental implants are too expensive, but you only need a few to hold an entire denture in position and treatment could be far more affordable than you think. In addition the benefits offered can be priceless. You’ll enjoy a better quality of life, improved appearance, and you’ll be able to enjoy far more foods than before. Implant supported dentures make it easier to chew foods properly, improving digestion and possibly general health. Your dentures can be constructed to look and feel just like natural teeth, and they’ll be completely stable. So how can you find out more? It’s simple, as all you need to do is book a consultation to find out if you’re suitable for treatment. Many people who wear full dentures are a little older but this shouldn’t matter at all. Age is certainly no barrier to having successful dental implants as it’s far more important to be in good general health. Implant supported dentures are often used to replace lower dentures as these tend to have the most problems due to a lack of retention. However it’s perfectly possible to replace upper dentures in the same way, although a couple more implants will be required to secure the denture. An implant supported upper denture is constructed in a horseshoe shape, leaving the roof of the mouth completely open. If you’ve previously worn out the dentures for a while you’ll immediately notice food tastes much better as the roof of your mouth contains lots of tiny taste buds, so eating will become much more enjoyable. This entry was posted in Dental Implants on 16th June, 2014 by Basingstoke Dental Implants. Choosing Dental Implants – What Are The Benefits? Choosing to have dental implants can be quite a big decision for many people. After all treatment is likely to be a little more expensive than alternative methods of tooth replacement, and you want to be sure you’re making the right choice. In fact there are numerous benefits of choosing this type of tooth replacement over the alternatives, and even though the initial outlay could be a little more, it can prove to be an economical decision in the longer term. According to the American Dental Association, a dental bridge will last an average of 10 years, but clinical studies have shown that implants can be more than 95% successful for in excess of 20 years. When you take these figures into account, dental implants can become a more financially attractive choice. It’s possible a well-cared for dental implant could even last for life, providing you with a stable and natural looking tooth replacement. In addition, properly planned and placed dental implants help ensure your cheeks and lips are properly supported, preserving the integrity of your facial structures. Your smile will be restored as naturally as possible, and dental implants will not impact the long-term health of adjacent teeth. This last point is particularly important as this is the only method of tooth replacement that can make that claim. If you choose to have a dental bridge, the teeth either side of the missing tooth will need to be ground down in order to make room for crowns that will support the bridge tooth. Unless these teeth are already decayed and broken down and could really benefit from being crowned, there’s a chance your dentist in Basingstoke will have to remove healthy tooth structure that can only ever be replaced artificially. If you opt for a partial denture, it will be held in place using clasps around existing teeth. Quite often these teeth will need to be modified in some way to help support the clasps and to give better retention. Even though bridges and partial dentures can look pretty good, they are unlikely to appear as realistic as dental implant crowns. Dental implants in Basingstoke can be designed in such a way that it emerges from the gum tissue in the same way as a natural tooth, and it would be very difficult for anyone to tell the difference. It’s also pretty easy to just floss and brush around an implant crown rather than bother with the hassle of cleaning underneath a dental bridge, or needing to take out a partial denture before cleaning and soaking it. You’ll also be able to use the implant crown exactly like a natural tooth, and won’t have to put up with any diet restrictions. This makes it easier to ensure you have a nutritionally balanced diet, which in turn can help protect your general health. One thing to remember is that dental implants take several months to complete which is a little longer than the alternatives. However it’s best to take a longer-term view about this treatment when considering all your options. This entry was posted in Dental Implants on 9th June, 2014 by Basingstoke Dental Implants.